Dornoch Historylinks Image Library - Dornoch Drum Major Sinclair Gunn. Dornoch Drum Major Sinclair Gunn. 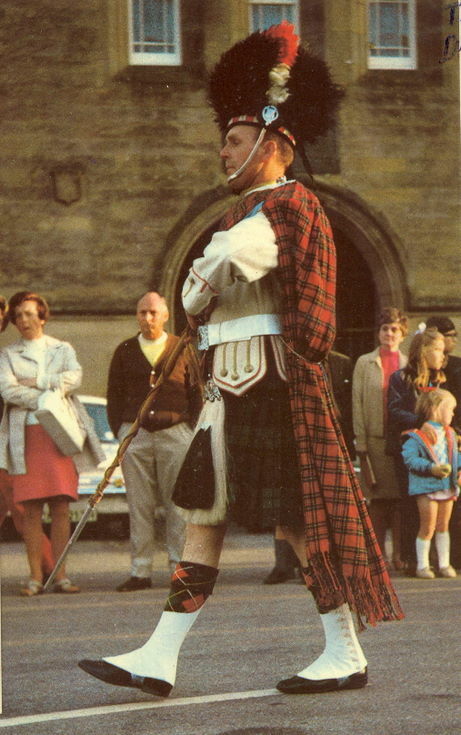 Colour photograph of Dornoch Drum Major Sinclair Gunn on parade in The Square Dornoch. From an album containing a selection of postcards and photographs taken by Mrs J.I.C. Mackayo f Dornoch and surrounding area.